For other people named Michael Gough, see Michael Gough (disambiguation). Francis Michael Gough (/ˈɡɒf/ GOF; 23 November 1916 – 17 March 2011) was an English character actor who made over 150 film and television appearances. 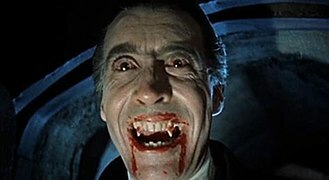 He is known for his roles in the Hammer Horror Films from 1958, with his first role as Sir Arthur Holmwood in Dracula, and for his recurring role as Alfred Pennyworth in all four films of the Tim Burton / Joel Schumacher Batman tetralogy. He would appear in three more Burton films: in Sleepy Hollow, voicing Elder Gutknecht in Corpse Bride and the Dodo in Alice in Wonderland. Gough also appeared in popular British television shows, including Doctor Who, as the titular villain in The Celestial Toymaker (1966) and as Councillor Hedin in Arc of Infinity (1983), and the automation-obsessed, wheelchair-bound Dr. Armstrong in "The Cybernauts" (1965) in a memorable episode of The Avengers. 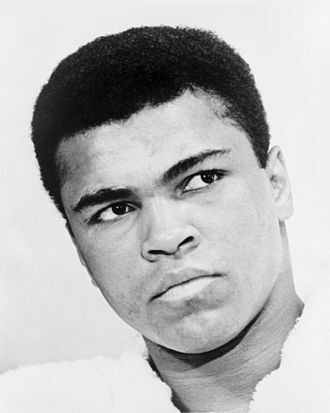 In 1956 he received a British Academy Television Award for Best Actor. At the National Theatre in London, Gough excelled as a comedian, playing a resigned and rueful parent in Alan Ayckbourn’s Bedroom Farce (1977). 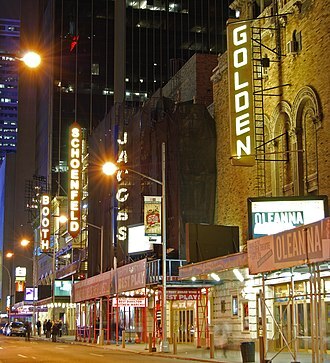 When the comedy transferred to Broadway in 1978 he won a Tony Award. One of Gough's funniest West End roles was as Baron von Epp in the 1983 revival of John Osborne’s A Patriot for Me. 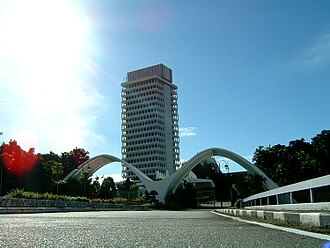 Gough was born in Kuala Lumpur, Federated Malay States (now Malaysia) on 23 November 1916, the son of English parents Francis Berkeley Gough and Frances Atkins (née Bailie). Gough was educated at Rose Hill School, Tunbridge Wells, and at Durham School. He moved on to Wye Agricultural College, which he left to go to the Old Vic. During World War II Gough was a conscientious objector, like his friend Frith Banbury, although he was obliged to serve in the Non-Combatant Corps, a member of 6 Northern Company, in Liverpool. In 1948, Gough made his film debut in Blanche Fury and thereafter, appeared extensively on British television. In 1955, he portrayed one of the two murderers who kill the Duke of Clarence (John Gielgud), as well as the Princes in the Tower in Laurence Olivier's Richard III. He became known for his appearances in horror films; following his performance as Arthur Holmwood in Hammer’s original Dracula (1958), his horror roles mainly saw him feature as slimy villains, notably in Horrors of the Black Museum (1959), Konga (1961), The Phantom of the Opera (1962), Black Zoo (1963), Trog (1970), The Corpse (1971), Horror Hospital (1973) and Norman J. Warren's cheaply-made Satanism shocker Satan's Slave (1976). He also spoofed his horror persona in What a Carve Up! as a sinister butler. He also appeared in the comedy film Top Secret! 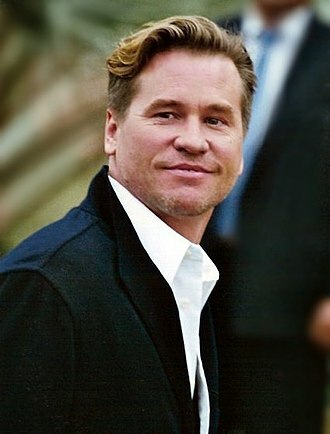 (1984), alongside Val Kilmer (the latter's first feature film), with whom he would also work later in the film Batman Forever. Gough guest-starred in Doctor Who, as the titular villain in The Celestial Toymaker (1966) and also as Councillor Hedin in Arc of Infinity (1983). He also played the automation-obsessed, wheelchair-bound Dr. Armstrong in "The Cybernauts", one of the best remembered episodes of The Avengers (1965), returning the following season as the Russian spymaster Nutski in "The Correct Way to Kill". He was introduced in the first-season episode "Maximum Security" of Colditz as Major "Willi" Schaeffer, the alcoholic second-in-command of the Kommandant (Bernard Hepton). In the Ian Curteis television play Suez 1956 (1979), he portrayed Prime Minister Anthony Eden. In 1981, he was reunited with Laurence Olivier in Granada Television's Brideshead Revisited, portraying the doctor to Olivier's dying Lord Marchmain. Gough also appeared in The Citadel (1983) as Sir Jenner Halliday, in 1985's Out of Africa as Lord Delamere and as the fictional deposed KGB spymaster Andrei Zorin in Sleepers. His later roles included Alfred Pennyworth for Tim Burton, including Batman (1989) and Batman Returns (1992). He also reprised his role as Alfred in the 1994 BBC radio adaptation of Batman: Knightfall and in Batman Forever (1995) and Batman & Robin (1997) for Joel Schumacher. 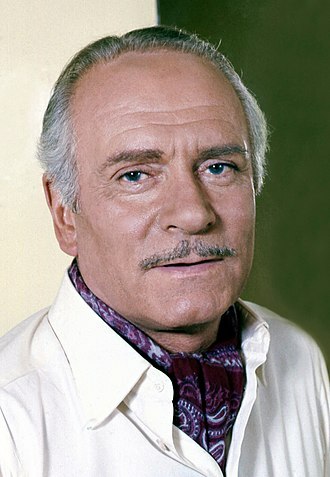 Gough was one of two actors to have appeared in the four Batman films in the Burton/Schumacher series; the other actor was Pat Hingle (as Commissioner Gordon). Gough worked for Burton again in 1999's Sleepy Hollow and Corpse Bride. He also briefly reprised his Alfred role in six 2001 television commercials for the OnStar automobile tracking system, informing Batman of the system's installation in the Batmobile. Other commercial appearances famously included Gough as Alfred in a 1989 advertisement for Diet Coke. Gough retired in 1999 after appearing in Burton's Sleepy Hollow. He would emerge from retirement twice more, both as a favour to Burton, to voice Elder Gutknecht in Corpse Bride and the Dodo in Alice in Wonderland. Gough was married four times—one of his ex-wives is Anne Elizabeth Leon (born 1925). They married in 1950, their daughter Emma Frances was born in 1953 and they divorced in 1964. Another ex-wife is Doctor Who actress Anneke Wills, who portrayed the Doctor's companion Polly. Wills and Gough met at various times during her life —firstly during a theatre trip with her mother in 1952 — but they first met formally on the set of Candidate for Murder and the attraction was instant. Gough adopted Wills' daughter Polly and in 1965, their son Jasper was born. Gough won Broadway's 1979 Tony Award as Best Actor (Featured Role – Play) for Bedroom Farce. He was also nominated in the same category in 1988 for Breaking the Code. In 1957 he won a BAFTA TV Award and in 1971, was nominated for a BAFTA Film Award for his work in The Go-Between. He was nominated for a Drama Desk Award Outstanding Featured Actor in a Play in 1979 for Bedroom Farce and again in 1988 for Breaking the Code. Gough died from pneumonia aged 94 on 17 March 2011 at his home in Salisbury, Wiltshire, having also been ill with prostate cancer for the previous year. A memorial service was held, he was cremated, and his ashes were scattered in the English Channel. He was survived by his fourth wife Henrietta, daughter Emma and sons Simon (who is married to actress Sharon Gurney, the daughter of the Upstairs, Downstairs actress Rachel Gurney) and Jasper. 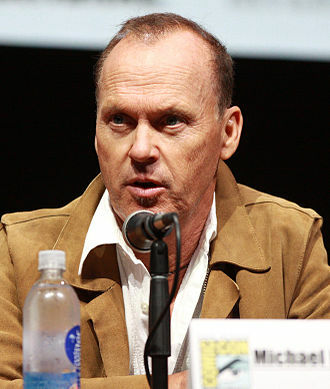 Michael Keaton, his co-star in the first two theatrical Batman films, said that Gough was sweet and charming, and wrote, "To Mick – my butler, my confidant, my friend, my Alfred. I love you. God bless. Michael (Mr Wayne) Keaton." Gough was added in In Memoriam at the 18th Screen Actors Guild Awards. ^ Gough in the London Times, 23 June 1997: "There was some indecision as to when I was born. My sister said it was 1916. I'd lost my birth certificate." Gough's wife Henrietta confirmed 1916 (and not 1915) as her husband's birth year in 2010 (see Christian Heger: Mondbeglänzte Zaubernächte. Das Kino von Tim Burton. Marburg 2010). 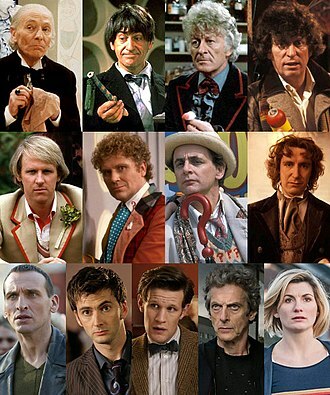 ^ "BAFTA Award: Actor in 1956". BAFTA. Retrieved 12 March 2019. ^ a b "Michael Gough obituary". The Guardian. Retrieved 12 March 2019. ^ "Michael Gough profile". filmreference.com. Retrieved 2 November 2016. ^ Michael Gough profile, Yahoo! Movies; accessed November 2, 2016. ^ a b "- Person Page 18350". thepeerage.com. ^ Eric Shorter (17 March 2011). "Michael Gough obituary". London: guardian.co.uk. Retrieved 21 April 2011. Michael Gough, actor, born 23 November 1916; died 17 March 2011 ... 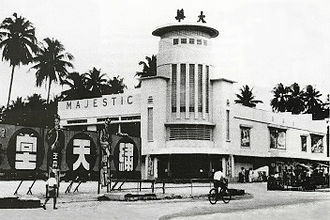 He was born in Kuala Lumpur, Malaya, where his father was a rubber planter. After attending Rose Hill School, Tunbridge Wells, and Durham School, he dropped out of Wye Agricultural College in Kent in order to study acting at the Old Vic. 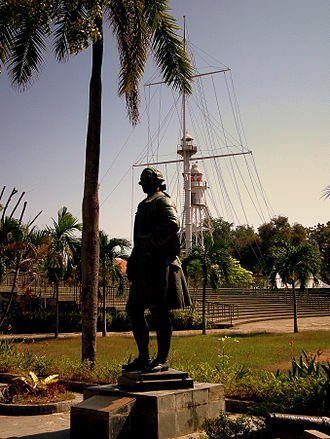 ^ Read, Piers Paul (2005). Alec Guinness: the authorised biography. Simon and Schuster. ISBN 978-0-7432-4498-5. ^ Starkey, Pat (1992). I will not fight: conscientious objectors and pacifists in the North West during the Second World War. Liverpool Historical Studies. Liverpool: Liverpool University Press. ISBN 978-0-85323-467-8. ^ "Michael Gough, Batman's Alfred, dies aged 94". BBC News. 17 March 2011. ^ Mike Moody. "Michael Keaton praises Michael Gough". Digital Spy. John James Osborne was an English playwright and actor, known for his excoriating prose and intense critical stance towards established social and political norms. The success of his 1956 play Look Back in Anger transformed English theatre, in a productive life of more than 40 years, Osborne explored many themes and genres, writing for stage, film and TV. His personal life was extravagant and iconoclastic and he was notorious for the ornate violence of his language, not only on behalf of the political causes he supported but against his own family, including his wives and children. Osborne was one of the first writers to address Britains purpose in the post-imperial age and he was the first to question the point of the monarchy on a prominent public stage. Osborne was born on 12 December 1929 in London, the son of Thomas Godfrey Osborne, a commercial artist and advertising copywriter of South Welsh extraction, and Nellie Beatrice, a Cockney barmaid. Thomas Osborne died in 1941, leaving the boy an insurance settlement which he used to finance a private education at Belmont College. He entered the school in 1943, but was expelled in the term of 1945, after whacking the headmaster. A School Certificate was the formal qualification he acquired. After school, Osborne went home to his mother in London, a job tutoring a touring company of junior actors introduced him to the theatre. He soon became involved as a manager and acting, joining Anthony Creightons provincial touring company. 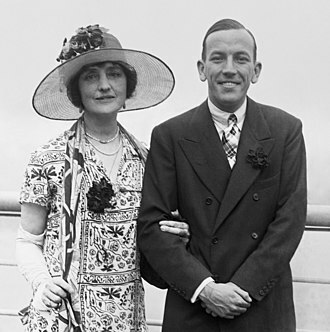 Osborne tried his hand at writing plays, co-writing his first, The Devil Inside Him, with his mentor Stella Linden, around this time he married Pamela Lane. His second play Personal Enemy was written with Anthony Creighton, Personal Enemy was staged in regional theatres before he submitted Look Back in Anger. It was submitted to all over London and returned with great rapidity. In his autobiography, Osborne writes, The speed with which it had returned was not surprising. It was like being grasped at the arm by a testy policeman. Finally it was sent to the newly formed English Stage Company at Londons Royal Court Theatre, formed by actor-manager and artistic director George Devine, the company had seen its first three productions flop and urgently needed a success if it was to survive. The Avengers is an espionage British television series created in 1961. The Avengers initially focused on Dr. David Keel and his assistant John Steed, Hendry left after the first series and Steed became the main character, partnered with a succession of assistants. Steeds most famous assistants were intelligent and assertive women, Cathy Gale, Emma Peel, the Avengers ran from 1961 until 1969, screening as one-hour episodes its entire run. The pilot episode, Hot Snow, aired on 7 January 1961, the final episode, aired on 21 May 1969. 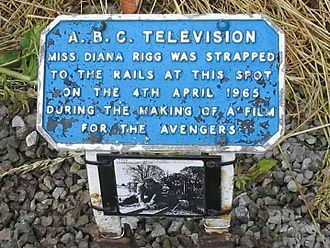 The Avengers was produced by Associated British Corporation, a contractor within the ITV network, after a merger in July 1968 ABC Television became Thames Television, which continued production of the series although it was still broadcast under the ABC name. By 1969 The Avengers was shown in more than 90 countries, ITV produced a sequel series The New Avengers with Patrick Macnee returning as John Steed, and two new partners. In 2007 The Avengers was ranked #20 on TV Guides Top Cult Shows Ever, the Avengers was marked by different eras as co-stars came and went. The only constant was John Steed, played by Patrick Macnee, the Associated British Corporation produced a single series of Police Surgeon, in which Ian Hendry played police surgeon Geoffrey Brent, from September through December 1960. While Police Surgeon did not last long, viewers praised Hendry, and ABC Television cast him for their new series, The Avengers, which replaced Police Surgeon in January 1961. The Avengers began with episode Hot Snow, in which medical doctor Dr David Keel investigates the murder of his fiancée, a stranger named John Steed, who was investigating the ring and together they set out to avenge her death in the first two episodes. Afterwards, Steed asked Keel to partner him as needed to solve crimes, Hendry was considered the star of the new series, receiving top billing over Macnee, and Steed did not appear in two episodes. As the first series of The Avengers progressed, Steeds importance increased, while Steed and Keel used wit while discussing crimes and dangers, the series depicted the interplay—and often tension—between Keels idealism and Steeds professionalism. Horror film is a film genre that seeks to elicit a negative emotional reaction from viewers by playing on their fears. 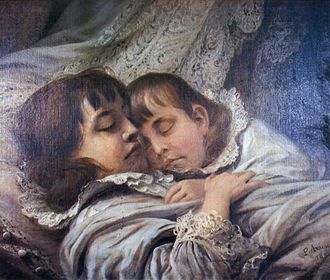 Inspired by literature from authors like Edgar Allan Poe, Bram Stoker, the macabre and the supernatural are frequent themes. Horror may overlap with the fantasy, supernatural fiction and thriller genres, Horror films often deal with viewers nightmares, fears and terror of the unknown. Plots within the genre often involve the intrusion of an evil force, event. 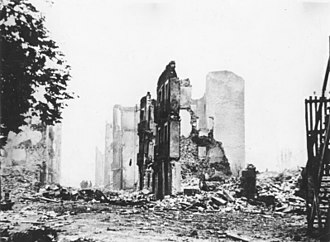 Another of his projects was 1898s La Caverne maudite. Japan made early forays into the genre with Bake Jizo and Shinin no Sosei. The era featured a slew of literary adaptations, with the works of Poe and Dante, in 1908, Selig Polyscope Company produced Dr. Jekyll and Mr. Hyde. 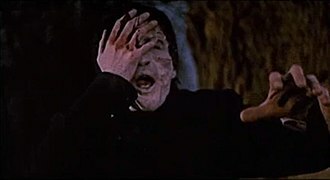 In 1910, Edison Studios produced the first filmed version of Frankenstein, the macabre nature of the source materials used made the films synonymous with the horror film genre. 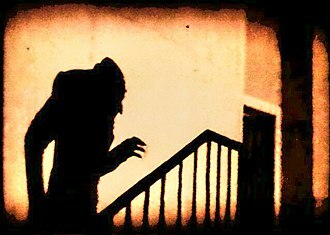 Before and during the Weimar Republic era, German Expressionist filmmakers would significantly influence productions, the first vampire-themed movie, was made during this period, though it was an unauthorized adaptation of Bram Stokers Dracula. Other European countries also, contributed to the genre during this period, though the word horror to describe the film genre would not be used until the 1930s, earlier American productions often relied on horror themes. Some notable examples include The Hunchback of Notre Dame, The Phantom of the Opera, The Cat and the Canary, The Unknown, and The Man Who Laughs. Many of these films were considered dark melodramas because of their stock characters and emotion-heavy plots that focused on romance, suspense. The trend of inserting an element of macabre into American pre-horror melodramas continued into the 1920s, directors known for relying on macabre in their films during the 1920s were Maurice Tourneur, Rex Ingram, and Tod Browning. Ingrams The Magician contains one of the first examples of a mad doctor and is said to have had a influence on James Whales version of Frankenstein. The Unholy Three is an example of Brownings use of macabre and unique style of morbidity, he remade the film in 1930 as a talkie, during the early period of talking pictures, Universal Pictures began a successful Gothic horror film series. Timothy Walter Tim Burton is an American film director, artist and animator. Burton has worked repeatedly with Johnny Depp, who has become a friend of Burton since their first film together. He has worked with musician Danny Elfman, who has composed scores for all, actress Helena Bonham Carter, Burtons former domestic partner, has appeared in many of his films. 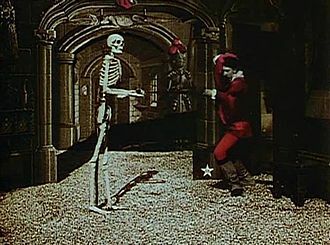 Both compilations were published by Steeles Publishing, as a preteen, Burton would make short films in his backyard on Evergreen Street using crude stop motion animation techniques or shoot them on 8 mm film without sound. Burton studied at Burbank High School, but he was not a good student. He was a very introspective person, and found his pleasure in painting and watching films and his future work would be heavily influenced by the works of such childhood heroes as Dr. Seuss and Roald Dahl. After graduating from Burbank High School with Jeff Riekenberg, Burton attended the California Institute of the Arts in Valencia, California, as a student at CalArts, Burton made the shorts Stalk of the Celery Monster and King and Octopus. Stalk of the Celery Monster attracted the attention of Walt Disney Productions animation division and he worked as an animator, storyboard artist and concept artist on films such as The Fox and the Hound, The Black Cauldron and Tron. His concept art never made it into the finished films, the film was produced by Rick Heinrichs, whom Burton had befriended while working in the concept art department at Disney. 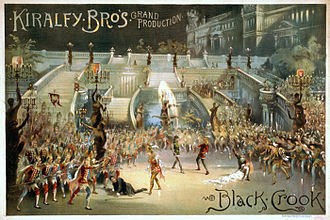 The film was shown at the Chicago Film Festival and released, alongside the teen drama Tex, for two weeks in one Los Angeles cinema. Having aired once in 1983 at 10,30 pm on Halloween and promptly shelved, prints of the film are difficult to locate. 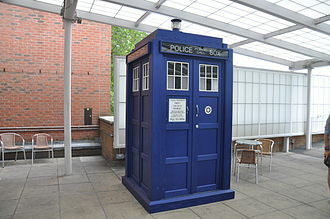 The short would finally go on display in 2009 at the Museum of Modern Art. It was again shown at the Seoul Museum of Art in 2012, Burtons next live-action short, was released in 1984. It tells the story of a boy who tries to revive his dog after it is run over by a car. Filmed in black-and-white, it stars Barret Oliver, Shelley Duvall, after Frankenweenie was completed, Disney fired Burton, under the pretext of him spending the companys resources on doing a film that would be too dark and scary for children to see. Sleepy Hollow is a 1999 American gothic horror film directed by Tim Burton. The plot follows police constable Ichabod Crane sent from New York City to investigate a series of murders in the village of Sleepy Hollow by a mysterious Headless Horseman. Development began in 1993 at Paramount Pictures with Kevin Yagher originally set to direct Andrew Kevin Walkers script as a slasher film. Disagreements with Paramount resulted in Yagher being demoted to prosthetic makeup designer, filming took place from November 1998 to May 1999, and the film was released to generally favorable reviews from critics, and grossed approximately $206 million worldwide. Sleepy Hollow won the Academy Award for Best Art Direction, Crane learns that locals believe the killer is the undead apparition of a headless Hessian mercenary from the American Revolutionary War who rides a black steed in search of his missing head. Crane begins his investigation, remaining skeptical about the elements until he actually encounters the Headless Horseman. Boarding at the home of the towns richest family, the Van Tassels and Young Masbath, the son of one of the Horsemans victims, go to the cave dwelling of a reclusive witch. She reveals the location of the Tree of the Dead, which marks the Horsemans grave, as well as his portal into the natural, Crane discovers that the ground is freshly disturbed and the Horsemans skull is missing. That night, the family of the midwife is killed by the Horseman and Katrinas suitor. Crane starts to believe that a conspiracy links all the deaths together, Van Garrett had made a new will just before he died, leaving all his possessions to his secret new bride, Emily Winship, whom Crane discovers was pregnant with Van Garretts child. Katrina, finding out that Crane suspects her father, burns all the evidence that Crane has accumulated, a council is held in the church. The Horseman seemingly kills Katrinas stepmother, Lady Van Tassel, Crane realizes the Horseman cant enter the church due to it being holy ground. The next day, Crane believes Katrina to be the one who controls the Headless Horsemen, the corpse is revealed as that of a servant when Lady Van Tassel emerges alive to ambush Katrina. A conscientious objector is an individual who has claimed the right to refuse to perform military service on the grounds of freedom of thought, conscience, or religion. In general, conscientious objector status is considered only in the context of military conscription and is not applicable to military forces. In some countries, conscientious objectors are assigned to a civilian service as a substitute for conscription or military service. Some conscientious objectors consider themselves pacifist, non-interventionist, non-resistant, non-aggressionist and this was re-affirmed in 1998, when resolution 1998/77 recognized that persons performing military service may develop conscientious objections. A number of organizations around the world celebrate the principle on May 15 as International Conscientious Objectors Day, the term has been extended to objecting to working for the military–industrial complex due to a crisis of conscience. Historically, many conscientious objectors have been executed, imprisoned, or otherwise penalized when their beliefs led to conflicting with their societys legal system or government. The legal definition and status of conscientious objection has varied over the years, Religious beliefs were a starting point in many nations for legally granting conscientious objector status. An early recognition of conscientious objection was granted by William the Silent to the Dutch Mennonites in 1575 and they could refuse military service in exchange for a monetary payment. 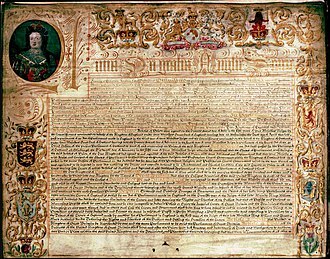 Formal legislation to exempt objectors from fighting was first granted in mid-18th century Great Britain following problems with attempting to force Quakers into military service. 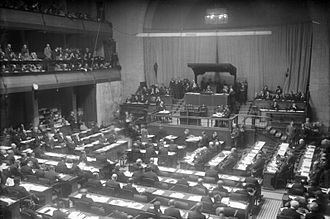 In the United States, conscientious objection was permitted from the countrys founding, in 1948, the issue of the right to conscience was dealt with by the United Nations General Assembly in Article 18 of the Universal Declaration of Human Rights. 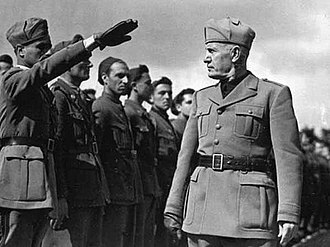 The proclamation was ratified during the General Assembly on 10 December 1948 by a vote of 48 in favour,0 against and it is The Right to Refuse to Kill. In 1976, the United Nations treaty the International Covenant on Civil and it was based on the Universal Declaration of Human Rights, and was originally created in 1966. Nations that have signed this treaty are bound by it and its Article 18 begins, Everyone shall have the right to freedom of thought and religion. Some states argue that such limitations would permit them to make conscientious objection during time of war a threat to public safety, even that it is a moral duty to serve the state in its military. In 2006, the Committee has found for the first time a right to conscientious objection under article 18, in 1998, the Human Rights Commission reiterated previous statements and added states should. Refrain from subjecting conscientious objectors. to repeated punishment for failure to perform military service, the Handbook on Procedures and Criteria for Determining Refugee Status of the Office of the United Nations High Commissioner for Refugees states,171. 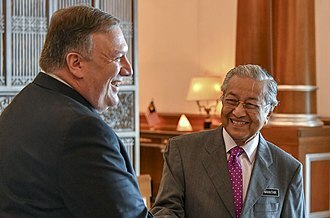 Not every conviction, genuine though it may be, will constitute a sufficient reason for claiming refugee status after desertion or draft-evasion and it is not enough for a person to be in disagreement with his government regarding the political justification for a particular military action. Laurence Kerr Olivier, Baron Olivier, OM, was an English actor who, along with his contemporaries Ralph Richardson and John Gielgud, dominated the British stage of the mid-20th century. He worked in films throughout his career, playing more than fifty cinema roles, late in his career, he had considerable success in television roles. His family had no connections, but Oliviers father, a clergyman. After attending a school in London, Olivier learned his craft in a succession of acting jobs during the late 1920s. In 1930 he had his first important West End success in Noël Cowards Private Lives, in 1935 he played in a celebrated production of Romeo and Juliet alongside Gielgud and Peggy Ashcroft, and by the end of the decade he was an established star. In the 1940s, together with Richardson and John Burrell, Olivier was the co-director of the Old Vic, there his most celebrated roles included Shakespeares Richard III and Sophocless Oedipus. From 1963 to 1973 he was the director of Britains National Theatre. His own parts there included the role in Othello and Shylock in The Merchant of Venice. Among Oliviers films are Wuthering Heights, and a trilogy of Shakespeare films as actor-director, Henry V, Hamlet and his films included Sleuth, Marathon Man, and The Boys from Brazil. His television appearances included an adaptation of The Moon and Sixpence, Long Days Journey into Night, Love Among the Ruins, Cat on a Hot Tin Roof, Brideshead Revisited, Oliviers honours included a knighthood, a life peerage and the Order of Merit. For his on-screen work he received four Academy Awards, two British Academy Film Awards, five Emmy Awards and three Golden Globe Awards. 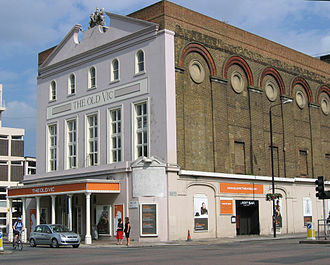 The National Theatres largest auditorium is named in his honour, and he is commemorated in the Laurence Olivier Awards, given annually by the Society of London Theatre. He was married three times, to the actresses Jill Esmond from 1930 to 1940, Vivien Leigh from 1940 to 1960, Olivier was born in Dorking, the youngest of the three children of the Revd Gerard Kerr Olivier and his wife Agnes Louise, née Crookenden. Salisbury is a cathedral city in Wiltshire and the only city within the county. It is the third-largest settlement in the county, after Swindon and Chippenham, with a population of 40,302, the city is located in the southeast of Wiltshire, near the edge of Salisbury Plain. Its cathedral was located to the north at Old Sarum, following its relocation. The new town received its city charter in 1227 under the name New Sarum, which continued to be its name until 2009. It sits at the confluence of five rivers, the Nadder, Ebble and Bourne are tributary to the Hampshire Avon, which flows to the south coast and into the sea at Christchurch in Dorset. Salisbury railway station serves the city and is a regional interchange, Stonehenge, a UNESCO World Heritage Site, is about 8 miles northwest of Salisbury and greatly aids the local economy. 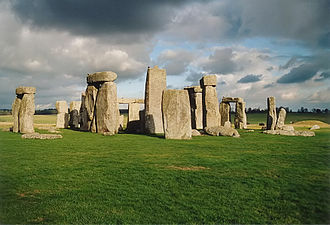 The city itself, Old Sarum, the present cathedral and the ruins of the one attract visitors. The first part of the name is of obscure origin, the form Sarum is a Latinization of Sar, a medieval abbreviation for Sarisberie. Salisbury appeared in the Welsh Chronicle of the Britons as Caer-Caradog, Caer-Gradawc, cair-Caratauc, one of the 28 British cities listed in the History of the Britons, has been identified with Salisbury. The hilltop at Old Sarum lies near the Neolithic sites of Stonehenge and Avebury and it commanded a salient between the River Bourne and the Hampshire Avon near a crossroads of several early trade routes. During the Iron Age, a hillfort was constructed around it sometime between 600 and 300 BC, the Romans may have occupied the site or left it in the hands of an allied tribe. Amid the Saxon invasions, Old Sarum fell to King Cynric of Wessex in 552, preferring settlements in bottomland like nearby Wilton, the Saxons largely ignored Old Sarum until the Viking invasions led King Alfred to restore its fortifications. 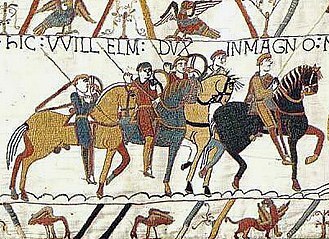 Along with Wilton, however, it was abandoned by its residents to be sacked and burned by the Dano-Norwegian king Sweyn Forkbeard in 1003 and it subsequently became the site of Wiltons mint. Durham School is an English independent boarding school for pupils aged between 3 and 18 years. Founded by the Bishop of Durham, Thomas Langley, in 1414 and it is the citys oldest institution of learning. The School is located in Durham, North East England and was an institution until becoming fully coeducational in 1985. A member of The Headmasters and Headmistresses Conference, it enrolls 650 day and its preparatory institution, known as Bow, Durham School, enrolls a further 160 pupils. Durham and Bows former pupils include politicians and British aristocracy, former students are known as Old Dunelmians. The school celebrated its 600th Anniversary in 2014, the history of Durham School can be divided into three sections. The school is referred to in histories and the Oxford Dictionary of National Biography as Durham Grammar School. It should not be confused with the Chorister School, Durham School was founded by Thomas Langley in 1414, which was the foundation date accepted by the Clarendon Commission into public schools in 1861, making it the 18th oldest in Britain. 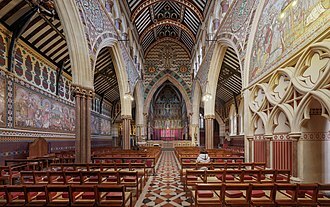 The school was in Langleys time situated on the east side of Palace Green to the north of the cathedral, at the time of the Dissolution of the Monasteries during the Protestant Reformation in 1541, the school was refounded by Henry VIII. It remained in the location, indeed the Headmaster Henry Stafford remained in post. Homeless due to the burning down of its buildings, the school continued in various houses in the city and it was in 1661 that the school moved to the building currently occupied by the Durham University Music School to the north west of Palace Green. There was some zeal for education in Durham during the 18th century, Durham School, rebuilt in 1661, on the Palace Green, soon became, instead of a local grammar school, a north-country public school of repute and wide influence. We can trace from the Restoration onwards not only the city names such as Salvin, Hutchinson, Fawcett, Calverley. One of the distinctions of the school is the succession of local historians. Most famous of these is James Mickleton, without whom no history of mediaeval or 17th-century Durham would be possible, than these comes Thomas Randall, who made a large collection of manuscript material for local history books. Batman Returns is a 1992 American superhero film and produced by Tim Burton, based on the DC Comics character Batman. It is the installment of Warner Bros. initial Batman film series. The film introduces the characters of Max Shreck, a business tycoon who teams up with the Penguin to take over Gotham City. Burton originally did not want to direct another Batman film because of his mixed emotions toward the film in 1989. Warner Bros. developed a script with writer Sam Hamm which had the Penguin, Burton agreed to return after they granted him more creative control and replaced Hamm with Daniel Waters. Wesley Strick did a rewrite, removing the characters of Harvey Dent and Robin. Annette Bening was originally cast as Catwoman but became pregnant and was replaced with Pfeiffer, filming for Batman Returns started in June 1991 at Warner Bros. Batman Returns was released on June 19,1992, the film was nominated for Academy Awards for Best Visual Effects and Best Makeup, as well as two BAFTA awards. Batman Returnss budget was $80 million and it grossed $266.8 million worldwide, on a snowy Christmas night and Esther Cobblepot throw their deformed infant child Oswald into Gotham River, fearing he would become a menace to society after attacking their pet cat. His crib floats to a zoo and is found by a flock of penguins who raise him as one of their own. 33 years later, three years after the defeat of the Joker, during the lighting of Gotham Citys Christmas tree, a former sideshow freak, Cobblepot explains his desire to become a respected citizen of Gotham and blackmails Shreck into helping him. Meanwhile, Shrecks secretary, Selina Kyle, inadvertently discovers her bosss plan to illegally monopolize Gothams supply of electricity, to protect his secrets, Shreck pushes her out of his office window. Falling through several canopies, Kyle miraculously survives but lies unconscious in an alley, a group of cats swarm around her and she suddenly regains consciousness. Shreck arranges for one of Cobblepots men to kidnap the Mayors infant son, as a reward, Cobblepot is given access to the Gotham City Archives, where he learns his real name, and that he is the last surviving member of his family. Meanwhile, the Mayor, persuaded by Wayne, refuses to give Shreck a construction permit for his power plant, Cobblepot orders his gang to attack downtown Gotham, ruining the Mayors reputation and giving Shreck the opportunity to propose Cobblepot as a replacement. The fictional superhero Batman, who appears in American comic books published by DC Comics, has appeared in various films since his inception. Created by Bob Kane and Bill Finger, the character first starred in two films in the 1940s, Batman and Batman and Robin. The character appeared in the 1966 film Batman, which was a film adaptation of the 1960s Batman TV series starring Adam West and Burt Ward. Toward the end of the 1980s, the Warner Bros. studio began producing a series of films starring Batman, beginning with the 1989 film Batman, directed by Tim Burton. Burton and Keaton returned for the 1992 sequel Batman Returns, and in 1995, Schumacher directed the 1997 sequel Batman & Robin, which starred George Clooney. Batman & Robin was poorly received by critics and fans, leading to the cancellation of Batman Unchained. Nolan returned to two further installments in the trilogy, The Dark Knight in 2008 and The Dark Knight Rises in 2012 with Bale reprising his role in both films. The two sequels both earned over $1 billion worldwide, making Batman the second franchise to have two of its films earn more than $1 billion worldwide. Batman has appeared in animated films, both as a starring character and as an ensemble character. While most animated films were released direct-to-video, the 1993 animated feature Batman, Mask of the Phantasm, based on the 1990s Batman, The Animated Series, was released theatrically. Having earned a total of U. S. $1,900,844,295, Batman was a 15-chapter serial film released in 1943 by Columbia Pictures. The serial starred Lewis Wilson as Batman and Douglas Croft as Robin, J. Carrol Naish played the villain, an original character named Dr. Daka. Rounding out the cast were Shirley Patterson as Linda Page, the plot is based on Batman, a US government agent, attempting to defeat the Japanese agent Dr. Daka, at the height of World War II. The film is notable for being the first filmed appearance of Batman, the film introduced The Bats Cave and the Grandfather clock entrance. The name was altered to the Batcave for the comic, William Austin, who played Alfred, had a trim physique and sported a thin mustache, while the contemporary comic book version of Alfred was overweight and clean-shaven prior to the serials release. 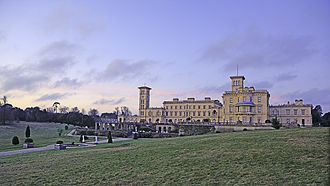 Osborne House, the summer retreat of Queen Victoria on the Isle of Wight. Starting from the late 18th century, settlements on and around the English Channel coastline in England grew rapidly into thriving seaside resorts, bolstered by their association with royalty and the middle and upper classes. 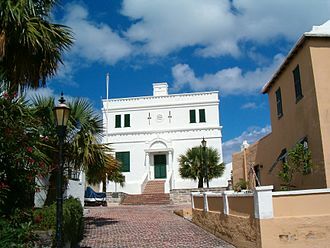 The Hermitage of St Helier lies in the bay off Saint Helier and is accessible on foot at low tide. Palace Green outside Durham Cathedral showing the location (left side of image) of Durham School from 1661 to 1844. The front of Durham School taken from the road outside, illustrating the Kerr Arch in the centre. Bray Studios, Berkshire. 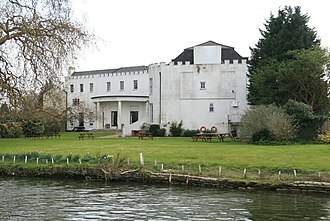 Bray Studios, close to the frequently-used filming location Oakley Court, was Hammer's principal base from 1951 to 1966. Tim Burton speaking about 9 at Comic-Con, 2009. Denys Lasdun's building for the National Theatre – an "urban landscape" of interlocking terraces responding to the site at King's Reach on the River Thames to exploit views of St Paul's Cathedral and Somerset House. 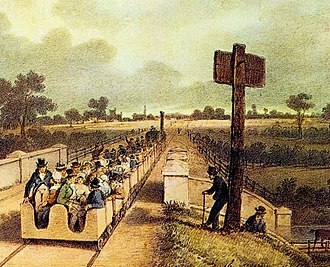 Inaugural journey of the Liverpool and Manchester Railway in 1830, the first ever commercial railway line. Lime Street, Liverpool, in the 1890s, St.George's Hall to the left, Great North Western Hotel to the right, Walker Art Gallery and Sessions House in the background. Statues of Prince Albert, Disraeli, Queen Victoria and Wellington's Column in the middle ground. Mathew Street is one of many tourist attractions related to the Beatles, and the location of Europe's largest annual free music festival. Centre: Marion, Kate and Ellen Terry and, far right, Fred Terry at Ellen's Silver Jubilee matinée, Drury Lane, 12 June 1906. Everyone shown was a member of the Terry family. Segundo de Chomón produced a handful of impressive trick films, including this one; La casa hechizada, or The House of Ghosts made in 1908. The St Martin's Theatre, home to The Mousetrap, the longest-running play in the world. Stamp created by the Centre de défense des objecteurs de conscience (around 1936). Gotham City Square set built inside Studio 16 on Warner Bros. Studios. Helena Bonham Carter as the Red Queen. Bonham Carter's head was digitally increased to three times its original size in the film. Mad T Party at California Adventure, showing the Dormouse on guitar, Cheshire Cat on drums, and Alice as lead singer. John Van Eyssen and Christopher Lee. Helena Bonham Carter voices the title character. Omega's costume for this episode, on display at the Doctor Who Experience. 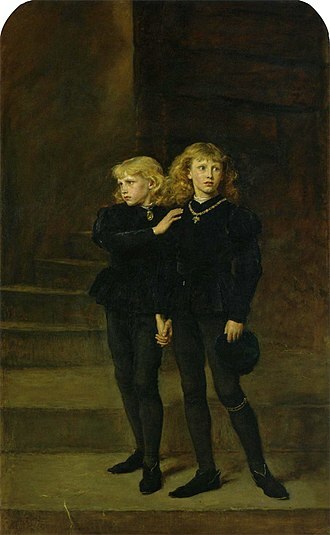 The Two Princes Edward and Richard in the Tower, 1483 by Sir John Everett Millais, 1878, part of the Royal Holloway picture collection. Edward V at right wears the garter of the Order of the Garter beneath his left knee. Malay Rulers at the first Durbar, Kuala Kangsar, Perak. July 1897.